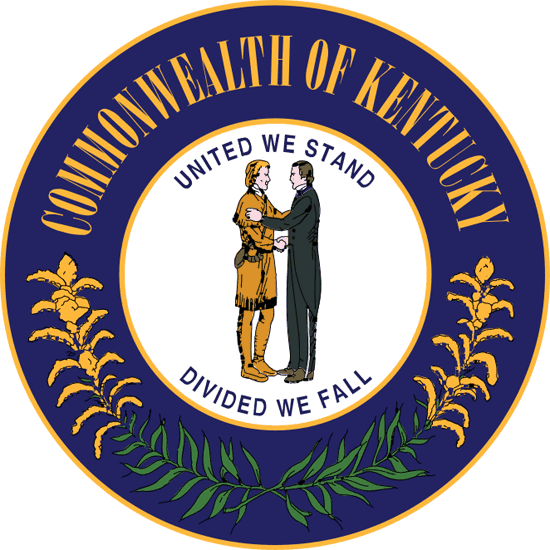 Below you will find a compilation of information regarding Kentucky state landlord tenant laws. This list is not exhaustive and you should do your own research and consult with an attorney as needed. This page will give you a general idea of the laws in Kentucky that landlords need to be aware of while renting residential property. Stay up to date on Kentucky Landlord Tenant Laws + Save money on tenant screening and other property management needs. Join AAOA today, it’s FREE! There is no maximum security deposit limit. Deposits must be returned to tenants within 30 to 60 days. The 60 day maximum is the time frame to give tenants to dispute any notification of any withholdings from the security deposit. Landlords must keep security deposits in a separate account. Tenants must be notified of the location of the account and the account number. If a landlord fails to maintain a separate account, the landlord is not allowed to keep any portion of the security deposit. Upon move-in, landlords are required to provide a full list of any existing damage to the property which could be the basis of a charge against the deposit. Upon move-out, landlords must provide a list of damages and charges to explain the reasons any portion of a security deposit was retained. If a landlord withholds part or all of the security deposit, the tenant has a right to inspect the property after receiving the list of damages. Both landlord and tenant must complete a checklist of the property before the landlord can collect rent. Rent is due based on the agreement of both parties at the time the lease was signed. If no other agreement is in place, rent is due at the beginning of the month. A definitive time frame for a rental can be set within the agreement. If no agreement exists, the lease is week-to-week for tenants who pay weekly rent and month-to month in all other payment situations. There is no statute regarding late fees for payments. The lease agreement can contain an amount for a late fee. If the agreement contains no provision for a late fee, one cannot be imposed by the landlord. Landlords must give 30 days written notice in order to increase the rent or change any other term in a month-to-month contract. Rent prices cannot be increased during the term of the lease – unless otherwise stated within the lease. Landlords cannot enforce prohibited lease clauses that violate state law. The landlord is not required to make an official demand or notice to the tenant. Landlords must disclose lead paint hazards, if known. Landlords must provide tenants with an information pamphlet regarding lead-based paint hazards. This must be included in the written lease. Landlords may only enter at reasonable times. Landlords must give notice for maintenance and repairs. Landlords must give notice to enter the property for showings. Landlords may enter without notice due to an emergency situations. Landlords must follow all building and housing codes regarding health and safety. Landlords are required to make all repairs and whatever else is needed to maintain the property and keep it habitable for tenants. Landlords must keep all of the common areas clean and safe. Electrical, plumbing, heating, air conditioning, and other facilities must be kept in good condition. Between October 1 and May 1, landlords are required to supply heat to tenants. Properties where the heat and hot water is controlled by an installation that the tenant mountain’s exclusive control over and a public utility company supplies the connection. Tenants must comply with any and all housing and building codes that address health and safety. Tenant must maintain cleanliness of the property. Tenants must dispose of trash in a safe manner. Tenants must keep plumbing as clean as their condition allows. Tenants must only use appliances in the manner in which they are intended to be used. Tenants may not damage, destroy, or vandalize the property in a deliberate or negligent manner. Tenants must be mindful of the surrounding neighbors and not allow themselves or anyone else to disturb surrounding neighbors’ use of their own property. Both landlords and tenants have responsibilities while renting residential property within the state of Kentucky. Landlords should check the full statute regularly to determine if any changes have been made. Consult an attorney for specific legal questions regarding a landlords’ rights and responsibilities. Bookmark this page and refer to back to it as needed while working with tenants and rental property. A key component of landlord tenant laws is also Kentucky Tenant Screening Background Checks. We’ve dedicated an entire page to it because of its importance. Visit Kentucky Tenant Screening Background Checks to screen your tenant. All states require a variety of forms to rent an apartment to a tenant and Kentucky is no exception. Check out American Apartment Owners Association’s Kentucky Landlord Forms now. Looking for landlord tenant laws outside of Kentucky? The American Apartment Owners Association offers helpful landlord tenant laws for all 50 states. Click on any of the states listed below and go directly to its landlord tenant law page. To visit the homepage of landlord tenant laws, click here.